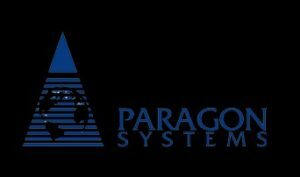 Keith Collin, a long term and sincere employee of Paragon, is going to become president and chief executive officer of Paragon Corporation in 1996. Collin is expert in telecommunication. He realizes the difficulties faced in the tough competitor’s market. After becoming CEO, with the coordination of parent company of Paragon, he created an idea to rebuild the corporation, after decreasing all main and effective staff from main departments. Collin motivate all the employees ,who want to attach with paragon and happy to listen about the restructuring of paragon, that we have to work more and perform in a better way, give a relief of few weeks and paragon can generate the same level of income and can compete the market. Collin also meet with all suppliers and clients ,who are satisfied to hear about the rebuilt of corporation and support the corporation for their own benefits . Paragon Corporation was founded in 1988 with the combine effort of three entrepreneurs. Throughout Newfoundland and Labrador, whose main focus on hardware, company provide computer networking products, software developments, service to business customers and information technology systems integrations. Paragon consists of 50 employees. Paragon information system Inc, a wholly owned subsidiary in the Newfoundland and Labrador market. it also provide website development, support to business market and internet access. Paragon develops a good reputation among its customers and also its employees because its net income is going to increase and having sustainable operating revenue. Paragon work in a freewheel environment where they set their own strategies and budgeting plans to achieve their goals and provide better facilities to its employees. Establish the organizational structure at optimal level provide support to business objectives. For all groups implement a new performance based compensation plans. For individual performance measurement and employee development, introduce new performance management systems to provide a frame work. Develop a performance oriented culture at paragon that support and recognize the contribution of each employee. To reward and recognize the shared success of Paragon ‘employee group, implement a corporate team reward. After leaving main position employees, Paragon has to face a lack of human resource from 50 to 36. Collin in this regard, try to improve the positions of existing employess.Firstly, Collin need a senior management team. The president of software development and latter’s most senior report remains, controller. Collin has two ways to appoint new team, first appoint the old employees at new and strong positions who have ability to face all new challenges and second appoint new employees from the market who wants to work in rebuilt situation like vise president sales and marketing. Collin knows that paragon working environment is very freely. A free hand facility provided to seniors so the work according to their comfort level. so, he also provide a reasonable responsibility to all new employees to work at their comfort zone and give a better result then before. Annually, targeted compensation plans reviewed. At fixed and variable pay, set targeted compensation at each job level. Sales compensations completely related to sales performance of the team. Fixed is base salary according to multiyear scale. Variable is per cent of base salary according to achieving the targets and objectives. Annual study of IT market compensation. Technical certification, demonstrated competence, and experience is required for progression up the scale. Paragon was a subsidiary corporation. Many senior employees left their job and move to another newly IT company. Board of directors appoint Collin, an existing employee, as a vise president and give him a free hand to work according to its requirement. Collin firstly, give confidence to all its employees that we are going to rebuilt the paragon with new efforts and your full support it required, and give them better incentives and positions, get the confidence of all its suppliers and customers that we are going to provide you facilities better than before and required their trust on them. Now Collin need to plan such a strategy and targets and improve the work performance of paragon and give them better income and reputation in the existing market and can easily compete their competitors. The management team now focuses on new business for future. SWOT analysis is used to study company capabilities, opportunities of market place, which activities are continue and which are discarded. In marketing, financing, organizational functioning and innovation, new strategic targets are going to set. In past company focus on hardware, so they also focus on this but with this they also provide their services which more attractive for customers. Because the margin is going to increase from 35 to 50% in this regard. They also pay attention on internet access because internet becomes the major need of time. With new strategic plans and organizational structure, employee group become in more stabilize condition. An open culture was reinforcing where all the progress and conditions are discussed with employees in general meetings. The people who stayed and work in Paragon can see a clear path of company’s progress and its improvement. The strategic Director of Paragon said; we invest in company so people feel satisfied to work with us, they feel supported, rewarded and recognized as become the part of corporation. From 1997, new strategies were implemented. Training was considered as most important and triple investment was done in this area. Whereas productivity area was not a major concern. Paragon’s financial performance was going to double. Revenue increased by 17 % and expenses going too decreased by 6 percent from 1996. Market was going to expanded and new technology partners were going to be part of Paragon. Its employees become 80 in 1998. And Paragon expand its business in system integration, IT consulting, computer networking, software development and integration, world class technology partners business internet/technology commerce and Tier 1 computer system. So, all better opportunities were adopted by paragon to further enhance its position and provide better facilities to all its employees and customers to capture maximum portion of market. Review of strategic plans and goals at annually or timely required to upgrade its strategies. After all the study , we conclude that Paragon corporation has capacity to work more and better in the field of information technology and all related to this. Only better strategic planning and better organizational structure required to improve the working ability of corporation. But with this better incentives and compensations plans also needed to support and rewarded their employees which helpful to motivate them and give better work performance for the corporation. With this a comfortable working environment also required which give better chance to improve the working experience and adopt new technologies to capture a big share of market. And compete with tough competitors. Paragon after rebuilding improve its work performance also its market positions among all customers.